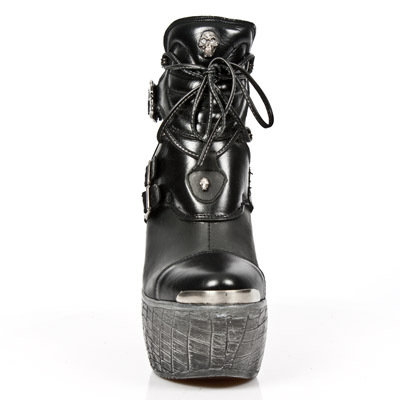 New Rock boots M.PZ001-C70. 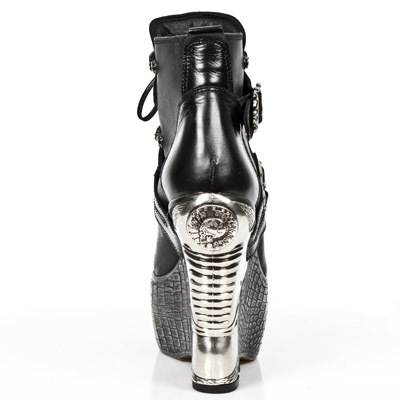 Black leather boots with a 2 1/4 inch platform sole (6 cm) and a 5 1/2 inch futuristic metallic wedge heel (14 cm). 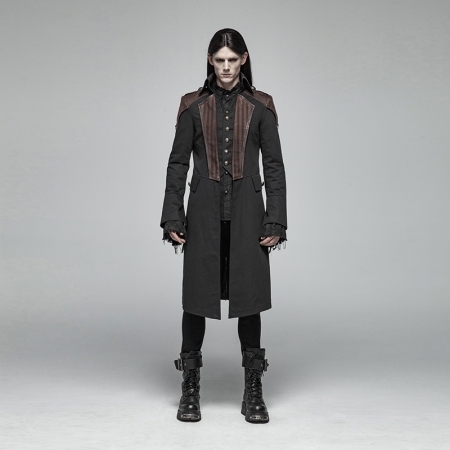 This model has adjustable buckles, laces, and skull studs. Available for immediate dispatch is EU size 38 - 39 and 40. The regular price of these boots was euro 261.95.